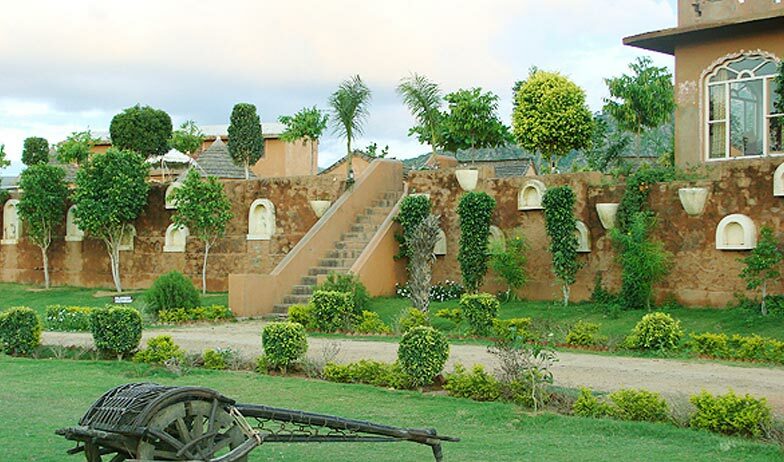 Located amidst the lush greenery, Pushkar fort apart from being a hotel, is a jewel of Indian Heritage. 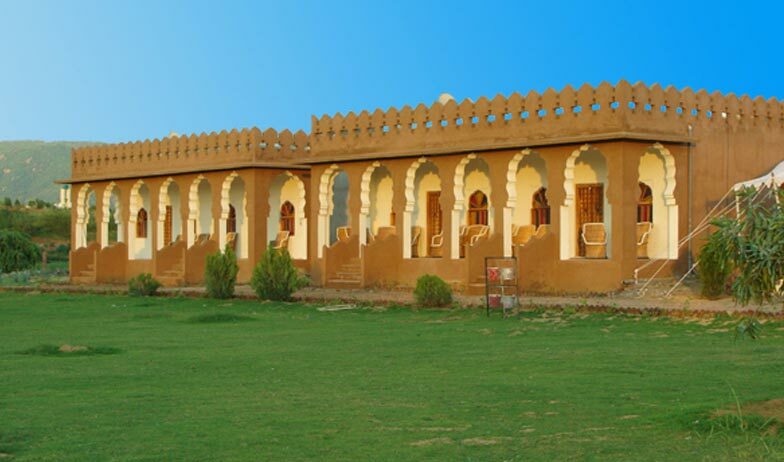 It’s a fort converted into a hotel, so that present generation can enjoy the luxury of our ancestors. 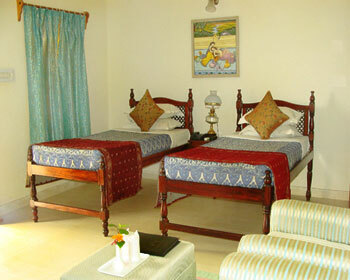 Pushkar fort is famous for the services, and facilities provided by them, and their amiable personnel. Their hard work and dedication has been appreciated by awarding them the Hospitality Award for 2013-14, and RCI annual award for the world-class facilities. Pushkar is famous for its Pushkar Fair, and this is when the Fort is out of bookings. They also have a swimming pool, and bath tubs are also provided in selected rooms. 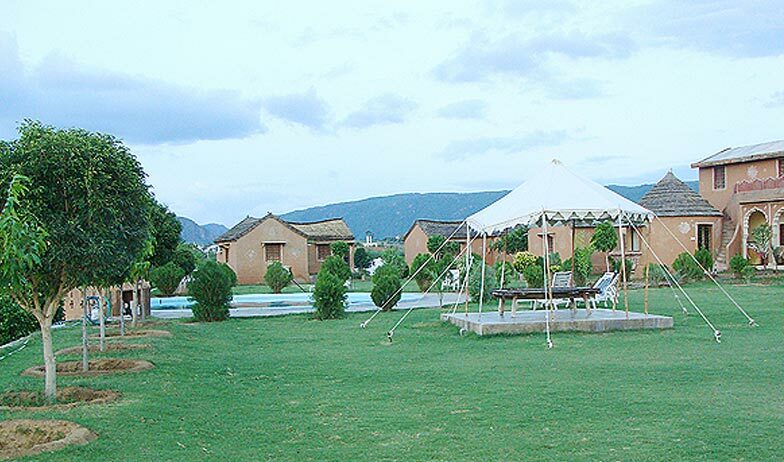 Not very far from the Pushkar terminus, Pushkar Fort is a convenient accommodation option for those on trip, as all the tourist attractions, are easily reachable from this place. Few of the tourist attractions are Brahma Temple, Savitri Temple, Pushkar Lake, Rangji or Rangnath Temple and many more. It’s a city of more than 400 temples, a busy and place of interest for religious ones. One can also organise their wedding in local Rajasthani style at Pushkar fort. 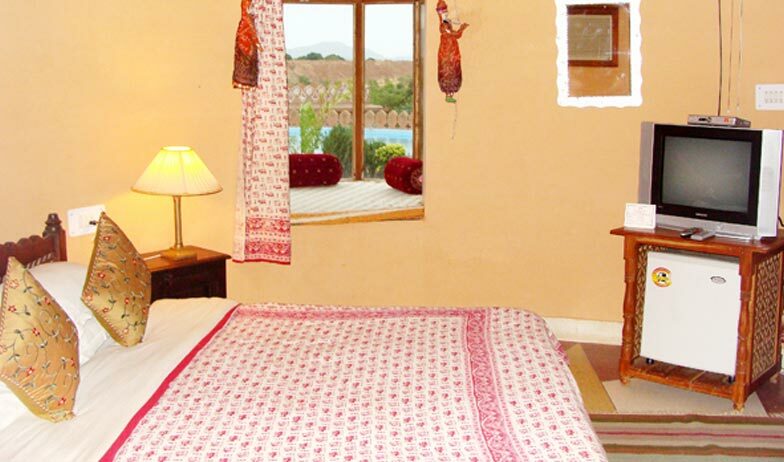 The room is decorated with local Rajasthani interiors, acquainting the guests with the rich culture of their city. A sneak peek of the rich work of local arts men can also be experienced by observing the beautiful block printed roof. The room comes along with private verandas, and two single beds, beautifully fitted with clean bed sheets, and a side table in between. Also, two sofas are provided in the room for dining and guest area with a centre table. Walls have got beautiful paintings, wall lamps, and curtained windows. 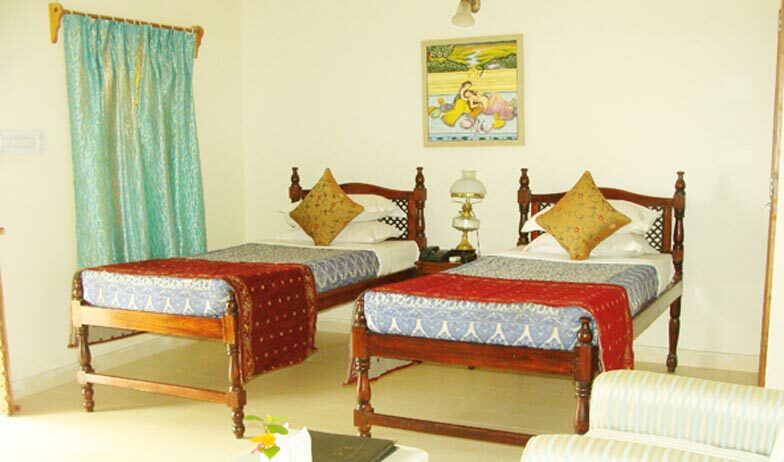 Along with all these décor, rooms are equipped with all the modern-day facilities. Only 12 of them are available. The huts treasure the amazing view of pool garden, and Aravallis, and to match the mood, of the surroundings, room is designed with earthy interiors. All the 16 huts have thatched roof, which acquaint the guests with block printing. Along with private sit-out verandas, these huts come installed with a king size bed, and side tables on both the side. The night lamps are installed on the side tables, a small dining area is provided for two with a beautiful wooden centre table. The huts have been installed with all the basic amenities like attached bathroom with all the basic toiletries, 24x7 continuous supply of water, room service, and AC. 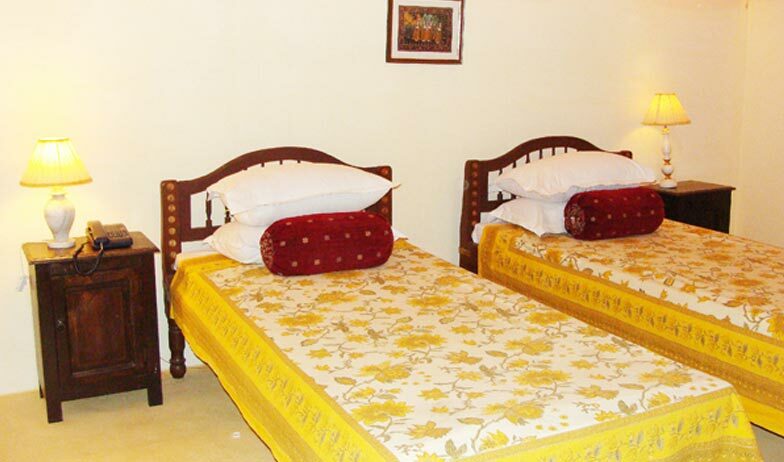 Everyone wants to experience the spacious and extravagant stay of a Haveli, to fulfil that Pushkar Fort offers a Haveli room. There are only 8 of these available, so booking before the season starts is a great option. These rooms are well-ventilated, and have coloured glass windows, with matching coloured curtains. One can enjoy the alluring view of Aravallis, and enjoy the evening tea while sitting on the loungers, provided within every room. A small sit out area is provided, and the whole room is inspired by the concept of Rajasthani Haveli. Basic amenities include AC, TV, dressing room, carpet in the sitting area, spacious bathroom with rich toiletries and round the clock room service. The royal heritage rooms are very well-fitted with all the modern comforts yet offer you an experience of staying in an authentic royal setting. The room is extremely spacious and airy. Enjoy facilities and services like side tables, comfortable furniture, regal furnishings, verandah, carpeted sitting area and more. These tents are set at the of Pushkar Fair so that tourists visiting Pushkar can have a comfortable stay during the heavy footfall. The tents are very well-equipped and contain all the basic comforts such as TV, AC, tea-coffee maker and so on. 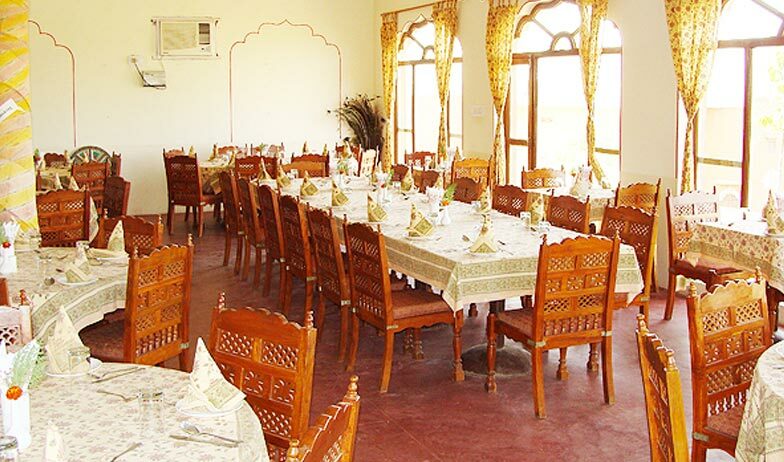 Pushkar fort houses a multi-cuisine restaurant, which offers rich local Rajasthani cuisine as its speciality. Along with local cuisine, restaurant also offers Chinese, and North Indian cuisine as well. The sitting arrangements are really grand, tables and chairs are beautifully decorated with table covers. One can also organise their dinner parties here, or keep it as a venue for food during their marriage, as their dining hall can easily accommodate nearly 5000 people.